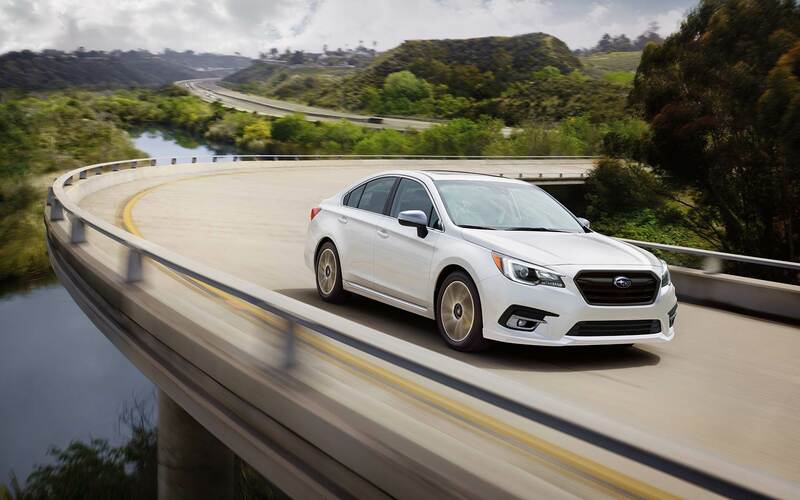 It takes a lot for a sedan to stand out, but with just one glance, it's clear to see that the 2018 Subaru Legacy deserves the shining spotlight on the road. The latest 2018 edition is certainly making waves in the auto industry, and we at Flatirons Subaru are excited to share that we have this model for sale right here on our lot. To experience the majesty that is the Legacy, schedule an appointment with our new car dealership serving Longmont Denver Fort Collins Boulder in Colorado. There's something to be said about a midsize sedan that transcends the expectations of drivers. Not only does this edition exude luxury, but it also implements an assortment of incredibly useful features. Style is important in a vehicle, and you'll find just the right amount of elegant detail across the exterior, from 18-inch aluminum-alloy wheels and body-color folding side mirrors to a stainless steel exhaust outlet. Practicality is also healthily enforced, which is especially evident via the All-Weather Package. 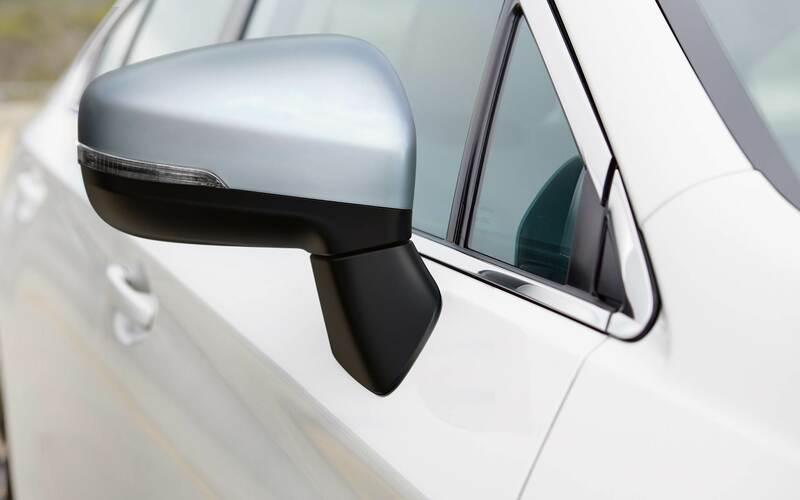 As standard on higher trims, this package bundles a windshield wiper de-icer and heated side mirrors, both of which are sure to assist in the long winters we encounter. Additional aspects include LED steering responsive headlights, LED fog lights, and a power tilt/sliding moonroof, all of which are available. As soon as you slide inside, a refined atmosphere welcomes you-complete with available leather-trimmed seating, silver metallic accents, and premium materials. The intuitive layout places all pertinent buttons and knobs within reach, allowing you seamless access to a number of functions. The steering wheel, for instance, boasts mounted controls that let you manage the audio system, volume, and cruise control without needing to remove your hands from the wheel. The center touchscreen is the real star of the show, however. Integrated in the center stack, this sleek display offers a range of options to keep you and your fellow passengers both entertained and connected on the road. STARLINK™ is the standard infotainment system in this 2018 model, and it provides smartphone integration via Apple CarPlay™ and Android Auto™, Pandora®, Bluetooth®, and more on a 6.5-inch screen. Top trims offer an 8-inch multimedia system, which adds on cloud-based applications like Yelp and SiriusXM® All Access Radio. It's not common for a sedan to provide an option for all-wheel drive. However, the Legacy not only offers its Symmetrical AWD system, but it also comes standard. Every trim level of this sedan implements this system to ensure firm handling and stability on every road or terrain you traverse, which is vital here in Boulder Colorado. An array of other systems come standard as well, further optimizing you're time at the wheel. From vehicle dynamic control and active torque vectoring to the traction control system, there's no doubt that you'll experience supreme driving dynamics. Operation of this vehicle is nearly effortless, thanks to the standard Lineartonic® CVT (continuously variable transmission). Integrated with this is adaptive control, Hill Holder®, and a 6-speed manual mode with paddle shifters. 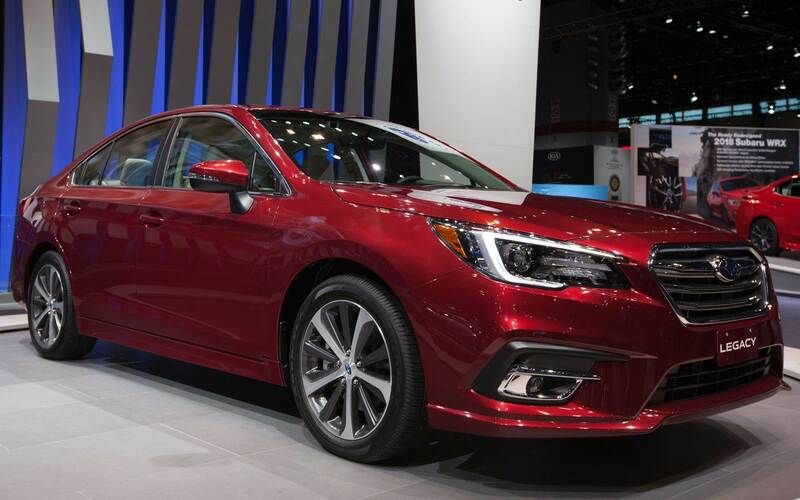 When it comes to performance, the 2018 Subaru Legacy for sale certainly steps up to the plate. Unleashing 175 horsepower and 174 lb-ft of torque is the standard SUBARU BOXER® 2.5-liter 4-cylinder engine, which integrates an active valve control system for enhanced drivability. The top trim level-the 3.6R Limited-ups the ante with its standard SUBARU BOXER® 3.6-liter V6 powertrain. With this equipped under the hood, you'll get to revel in a spirited 256 horsepower and 247 lb-ft of torque when you put the pedal to the metal. This machine implements a dual active valve control system. We at Flatirons Subaru serving Longmont Denver Fort Collins Boulder can't wait to show you all of what this vehicle can do when you see it in person-we can assure you that you won't be disappointed in the agile capability of this vehicle. 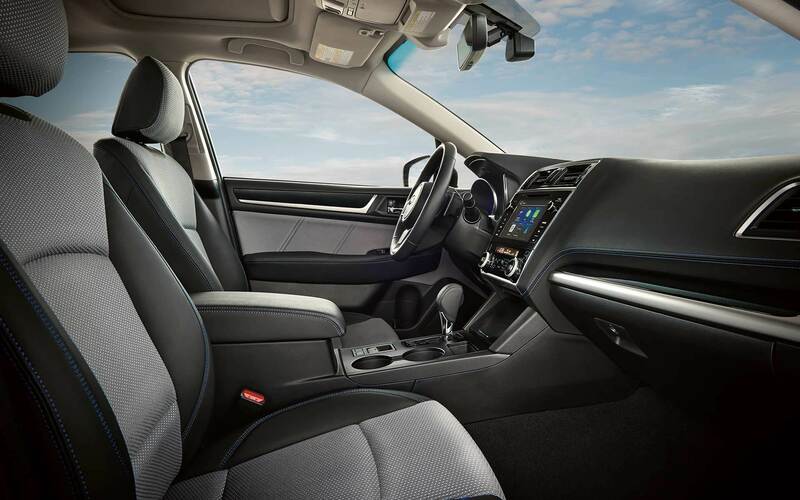 No matter where you venture in Boulder Colorado and the surrounding cities, you'll have the peace of mind that comes with this sedan's extensive list of safety features. 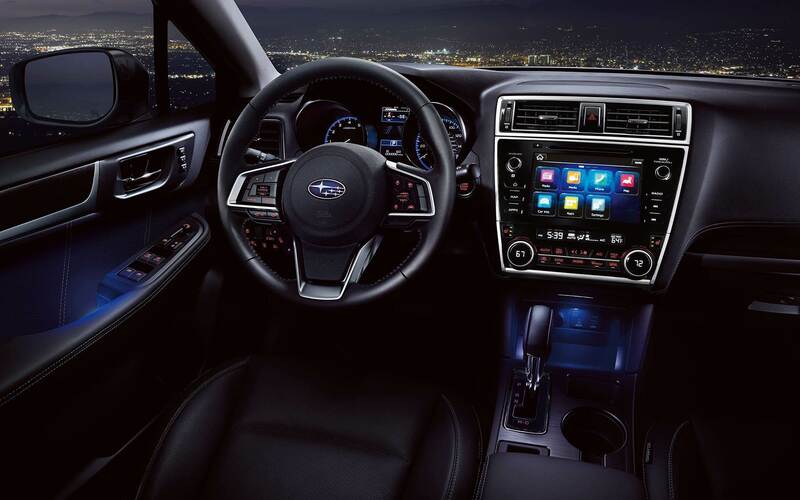 Subaru understands the importance of safety and protection in a vehicle, which is why the engineers stocked the Legacy with some of the most advanced systems. In terms of standard amenities, this 2018 model equips a tire pressure monitoring system, LED daytime running lights, and a rear-vision camera. The optional EyeSight® driver assist technology comprises adaptive cruise control, pre-collision braking, lane departure and sway warning, and lane keep assist into one package for exceptional support every time you hit the road. Additional features include a collapsible steering column, which retracts in the event of a collision to prevent injuries to the driver, whiplash-protection front seats, and the LATCH system. Interested in more? Come on down to Flatirons Subaru in Boulder Colorado today, where we have this sensational midsize sedan for sale and awaiting your test drive. You can find us at 5995 Arapahoe Avenue in Boulder, CO, or contact us via phone at 877-464-2714 for additional information. Our sales associates at our dealership serving Longmont Denver Fort Collins Boulder look forward to working with you to make the 2018 Subaru Legacy yours!